An essential part of working in London is discovering your coffee shop. This is of the utmost importance. The coffee shop is that most magical of places, the neutral zone between home and work. It is where you steel your courage to face the day. Many Commuters will only spend a few minutes in their coffee shop, a quick cup of something to take away on the last leg of their journey. I have quite a different relationship with my coffee shop. Today’s episode: Finding Nero, wherein our heroine has her moment of Zen. The first day I commuted into Hammersmith, I was left with a conundrum. I had an hour before I had to be at work but the walk from the station would only take ten minutes, fifteen if I dawdled. I peered through the crowds and traffic, trying to find some sort of place that I could waste the next forty-five minutes. 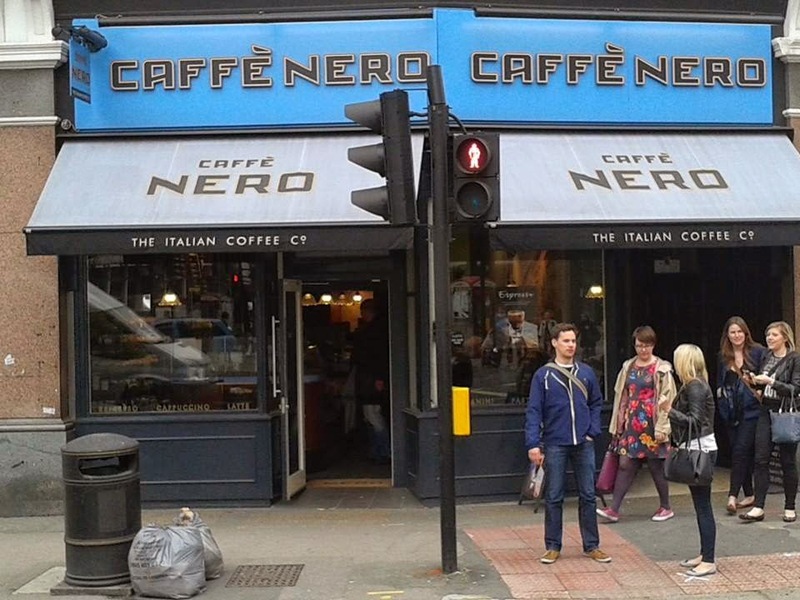 I spotted a Caffé Nero through the stream of cars and vans and headed off. 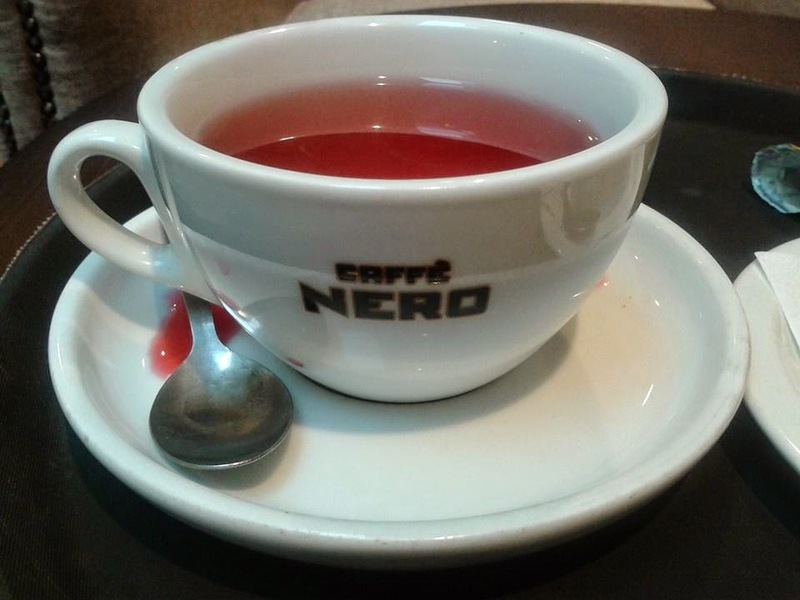 Caffé Nero is a chain coffee shop, like a Starbucks but, to my American sensibilities, different. For one thing, it has a different logo. Okay, so it’s like most chain coffee shops, baristas, teas, coffees with exotic sounding names, baked goods, a small selection of wrapped sandwiches, selections of classical music, and comfy chairs where denizens read their newspapers or books. I would have no trouble relaxing here for forty minutes. That first breakfast in Hammersmith. What began as a mere pit stop in my daily commute quickly turned into something else. For one thing, I discovered the most delightful of breakfast foods: honey yoghurt. It is as good as it sounds: Greek yoghurt with a hint of sweet, honey flavour. It is what I most look forward to when I wake up. I have also challenged myself to try all of the blends of tea on offer (save decaf, who the hell drinks that stuff anyway?). Thus far I have enjoyed Tea. Earl Grey. Hot, Chamomile, English Breakfast, Green Tea, and today’s blend was Raspberry and Ginseng. Monday will be Peppermint and then I can go back to my most favouritest of blends, Earl Grey. I have taken to writing during my morning stop at Caffé Nero as well (yes, I’m in Caffé Nero as I type these words). For forty-five minutes I slip into a delightful bubble, not quite a bubble, a haze more like. I can write, stare off into the distance, or contemplate the very odd things that frequently pop into my head. My moment of Zen. It’s that moment where your busy morning slows down, the world outside the window of the shop continues on at warp speed, but inside everything is calm. Your easy chair wraps you up with its arms and you can watch the madness from its warm embrace. The classical music piped in from the speaker becomes foregrounded as the rest of the sounds of the world fade away. I have had lovely, odd thoughts in this state. The one that visits me most frequently are the childhood dreams I had of becoming a ballerina. I blame this particular reverie on the canned music. It’s music that ballet teachers would play in class for bare work. (I am convinced that one track actually is one that I danced to at some point.) One morning I began to imagine what my life would have been if I had pursued dance as I had wanted to as a child. Zen set in and the thoughts danced around my head. What if I had come to England to study ballet? Maybe I would have been fifteen or sixteen wandering the streets of London, going to class for hours on end, the bleeding blisters, the beautiful costumes, the surge of adrenaline from the performances. I wondered if my ballerina-self would have had a coffee shop, too. For a second, I half expected my ballerina-self to come through the door and order a cup of tea. I blinked and the reverie was broken. I took another sip of tea. 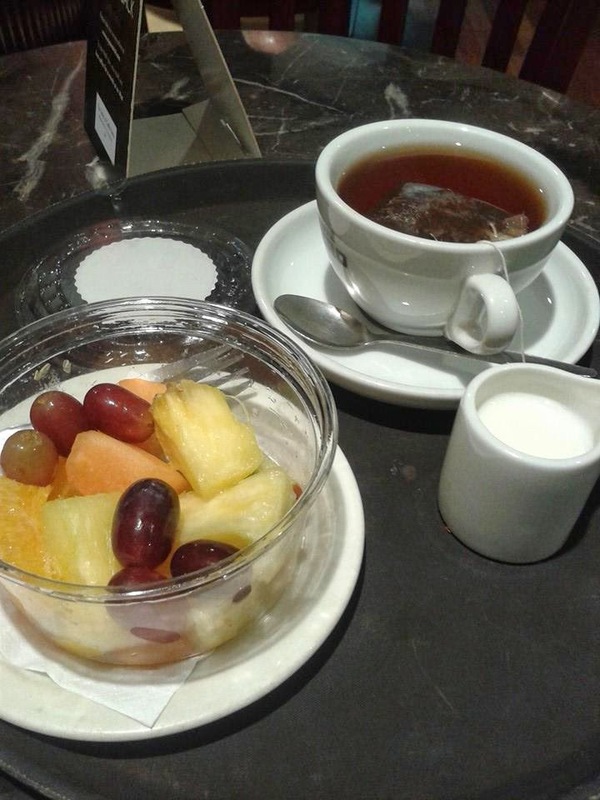 This morning I got to Caffé Nero earlier than normal, ordered my Raspberry and Ginseng tea and honey yoghurt, and grabbed my preferred table. From my seat I can see through the door way into the front of the coffee shop and on through the large windows out into London. From here a dreamer can invent her own reality. I watch people walking by and invent stories about who they are and where they are going. That bloke with the gym shorts and backpack is training for the London marathon. He’s running for a gerbil charity to commemorate his childhood pet. That woman with the blackberry has an important presentation this morning. She has invented a product that will make anyone invisible for precisely 0.68 seconds. (It’s still in the development stage.) I stay in my chair long after my tea is gone dreaming and writing. At quarter to, it’s time to meander over to my building and begin the rest of my day. The moment of Zen is over and I join that stream of stories out of the window. “He’s running for a gerbil charity to commemorate his childhood pet.” Ha!